Let me give you a little background into our Christmas traditions, when it comes to gifts.My kids ask for ONE thing from Santa, and that is it. I am not even kidding, that is all they even want to ask him for. This was not even a tradition started by me, it was brought up by my daughter, Bean. She had always only asked for one, and no one ever told her to just pick one. Then in her infinite wisdom when she was just 4 (turning 5) these two little boys in front of us waiting to see Santa had these HUGE lists. Their mother told them that they could leave the list with Santa and he would bring all of it. She turned to me and told me she thought they were selfish asking so much from Santa. She said there were so many kids in the world he had to bring toys to and that it was asking not only too much of Santa, but of the reindeer too. Since that day she has continued only asked for ONE thing, and still does not ask for more. I usually do all my Christmas shopping from the comfort of my computer chair at home, with zero crowds. This year Bean has been lusting over the Build-A-Bear Pokemon dolls. She is pretty obsessed with them, and was even before Pokemon Go, and she has me to thank for that. We tried getting the Eevee doll, but they were sold out instantly online and no Mall in a 2 hour radius had them. We were then told Texas was our only option and that they were not coming back out. So my friend in Texas sent us an Eevee doll to surprise her Christmas morning with. I am incredibly blessed to have friends all over the country that are amazing people! I also heard Charmander was coming out, and he was instantly sold out online, so called our closest Mall and turned out they had them there. So I got around and headed out into the crowds, I figured it was my only shot at getting him and I took it. I got there and they even had Eevee dolls, I was a little annoyed. I grabbed two Charmanders and one Eevee and then I decided to grab Everest as well. So there I was waiting in like for almost 2 hours to have 4 Build-A-Bear shells stuffed. Why so many? Here is my logic, Bug is also in love with Pokemon and she wants everything her older sister has. So I do not have a screaming toddler or an unhappy kid, I took a hit to the wallet and got doubles of each so there is zero fighting on the most magical day of the year. I also figured Everest is from Bug’s favorite show and since Skye was discontinued, I better grab her while I can. I may save it to give to her on her birthday, or maybe not. Regardless I have it for some point in the future. Then came the pivotal moment where I went into Toys R Us to get the one present Bug wants above all, FurReal Friend Tourch, My Blazin’ Dragon. She is in love with that and has spent a lot of time watching YouTube videos about it. It is the gift she is asking Santa for and so I had to get it. There was a LONG line that people said they were in for over 2 hours and were still not close to the register. I saw that it was $80 and I figured I would look on my phone before I waited in that line. Turns out that I found it on sale at Walmart. It was sold out at my Walmart, but it was at another one. So I left the crowded super hot Toys R Us and headed to save a little money. I was just hoping it was still there! It was the last thing I was going to be buying NOT online, hopefully. Turns out I was amazingly lucky and got it! There was only 2 on the shelves, and at first I thought they were all gone. I did a little dance and then took a selfie, and I am not kidding about the little dance. I love a great deal and when it happens to be my kids requested item of the year. I will go to crazy lengths to get the one item they really want from Santa, because they only ask for one. I figure if they just ask for the one thing, what is the harm in making sure I get it. When Bean was 3 she asked for “Pet Gloves” and I had no idea what they were and got her to describe them to me. She said they had dogs on them. I went to several stores and searched the internet. Finally about a week before Christmas I found a pair of gloves with puppies on them on Ebay. I had to bid on them and won! YAY they arrived on the 23rd of December. It was so close, but I got them and I have kept those gloves and have them set in her box of mementos that she will someday get back. I will always remember how we told her Elf Ebay had to find those special! I may have spent 6 hours shopping on Saturday, but it was entirely worth it. 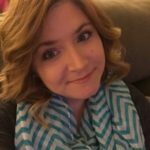 I got 5 things I really wanted for my kids and I know they will not be disappointed. I have 3 more gifts to pick out and some stocking stuffers and my kids are done. So I may only have to brave the crowds one more time, but luckily it is just local places I am going to. They tend to be a little more tame here in the sticks. I hope everyone is enjoying their holiday shopping and just spending time with your kids. Is there a MUST HAVE item on your kids lists this year? Making their children happy is one of the most wonderful feeling a parent could ever have. You will do everything not to disappoint them, even trade their own happiness just to make sure of their children’s welfare. Your daughter is right, children can be selfish (not to mention greedy) these days and even though i do spoil my kids at Christmas, they are very aware they don’t get everything they ask for and they really don’t get much in between christmas and birthdays, expect maybe a new dvd a couple of times a year. Christmas my kids get fairly spoiled and their birthday. I will sometimes get my kids other things in between, but never anything too expensive. Some kids are born wise. She sounds like a keeper. Thank you! I think I will keep her. She is wise beyond her years. 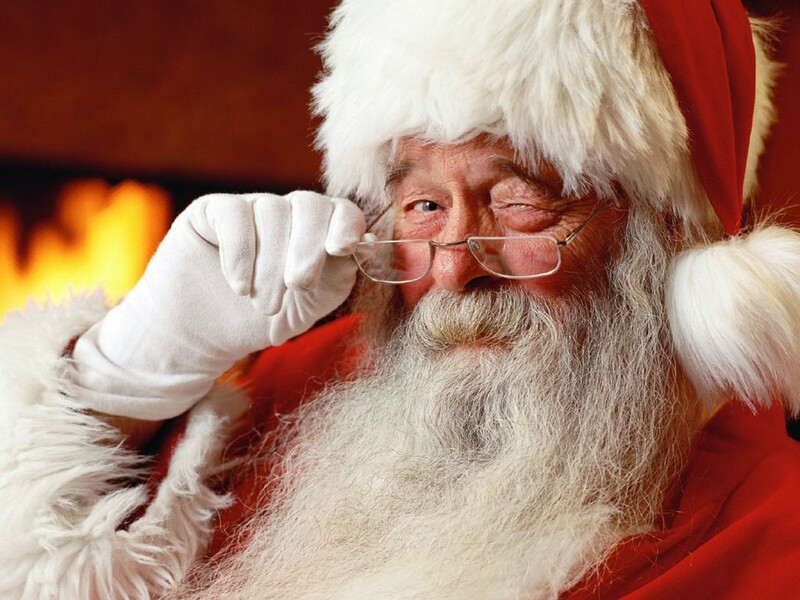 Your Kids are blessed and You can enjoy their innocence that they still believe in Santa. Mine are both teeanagers and the older disabused the younger one of the Myth of Santa…I was sad for him. he looked so upset…! Well done you ! I didn’t know Build a Bear had Pokemon characters! 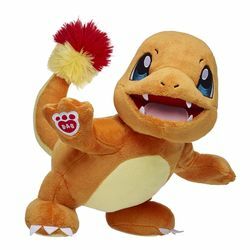 My son is totally obsessed with Pokemon and even has a few plush on his list. I will have to visit soon! Such a cute post! You’re such an incredible mother! Thank you, that is incredibly kind of you to say. Shopping for Christmas can be so tough! Good job getting the deals and finding what the kids wanted. My kids can barely even give me a list this year. I don’t know what I’m going to do. That’s never happened! My kids had really small lists this year. Between the two of them it was just Pokemon stuff, a Pokemon video game, the dragon I got, and anything with puppies or kitties. Seems to be just a mellow year for things kids want, maybe? That’s very sweet of your daughter to only ask for one gift! My kids never liked Santa, so it was never an issue. I kind of wished we could have done Santa, but oh well! Merry Christmas! I think she is pretty sweet. She also does odd jobs around the house to earn some extra money and she buys a present to drop off for Toys for Tots each year. I am a little generous with the money for such a great cause. 🙂 Santa is fun, but sometimes it is hard keeping up the appearances of Santa. Down to the specific Santa paper we have to keep hidden for the kids NEVER to find… 🙂 Merry Christmas! So cool that you got the gifts your kids wanted. I still need to shop for mine. Most of the presents are from the parents at our house, too. I think the idea of hiding presents to find before opening sounds fun! We might have to incorporate that some year soon. I don’t have any kiddos of my own yet, so I’ve been trying to find the perfect gifts for my nephew and niece. They’re both spoiled rotten by all the people in their lives 🙂 So maybe something small this year would be just as good as anything else! It is so much easier shopping online without fighting your way through the crowds. It is great that you found the toy in the mall! Your daughter sounds wise beyond her years. How sweet of her. My kids have a list of stuff they want, most of which they don’t get. This year they have the misfortune of asking for the hottest toys that are sold out everywhere. I like the one gift rule. Its a good idea and it makes them treasure the gift more. Oh my goodness!!! I hadn’t seen the Pokemon Build a Bear. My boys will love them. Christmas shopping has been made much easier nowadays to shop online. Already bought toy from Amazon for son. I still like to go shopping at the mall, just to feel the spirit of Christmas. So glad to hear that you found something in your kids list. Good job! I prefer to shop online too. I did most of my shopping online and finished up Saturday. Now to wrap. I hate that! Oh my word! You have waaaaaaaaaaay more patience for shopping that I do! I could never – I prefer online – click click click! Shopping online is an absolute lifesaver! I think that’s fantastic that your little one thinks one item is enough, so sweet that she thinks of others (Santa) and his wellbeing delivering all those presents! you’re a great mom for raising a good girl like her! When it comes to shopping I’m a one minute shopping mom, that’s why I prefer online shopping as well. She sounds like a wise girl! You’ve raising her well! What a kind thoughtful daughter you have! Enjoy every minute of this magical time of the year with her. I’m glad that you found the toy in a mall but this time, shopping online makes my life easier. Great post. Isn’t shopping a blast! That’s great that you found that toy. Them and the Hatchimals are so hard to find it seems. 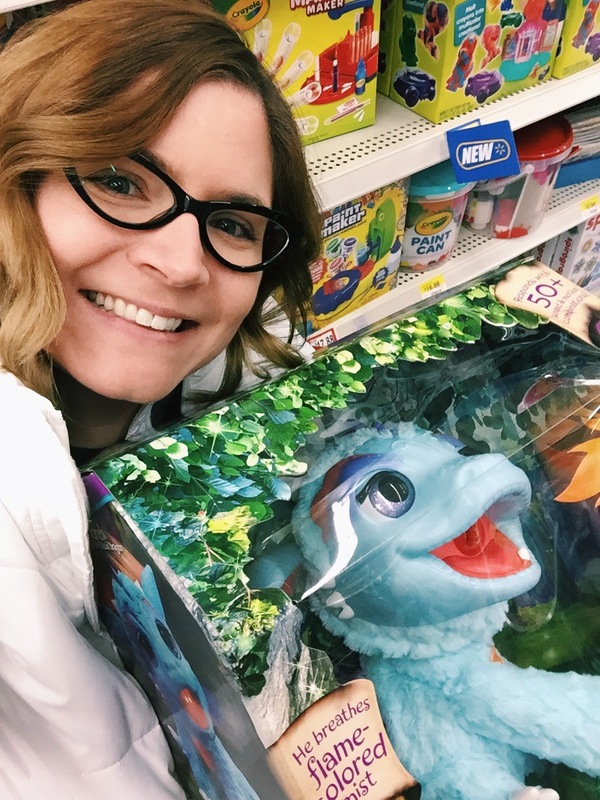 I saw 2 Hatchimals at Walmart, but decided not to get them..and now in a way I wish I would have! I think making kids happy is so worth the prices sometimes. I’m sure Pokemon dolls are really popular this year! My son likes video games which can get really expensive. I’m not surprised Pokemon is so popular again!! So good you found the toy. Making your kid happy is just priceless. Your brave to face the crowds like that. So glad you were able to find the toy! I’m glad you were able to get some things they wanted!! My baby is just 4 months so milk is pretty much the only thing he HAS to have lol But we are getting him a high chair, though he won’t be ready for a couple of months to use it. I think I am going to do my Christmas shopping online this year. I just hope it gets delivered on time. Your daughter is so thoughtful! I prefer to do my Christmas shopping online, too. I’m glad you managed to get that Pokemon toy! I think it’s nice not to flood them with gifts, this is such a nice tradition. It’s also so fun and exciting for the kids! I love it and thanks for sharing your tradition with us! Such a good post, I prefer on online shop too the most convenient for me and since I don’t have a time to go outside. Previous story The Secret Life Of Pets Blu-ray Giveaway!